Zoos SA’s 500 strong volunteer team is an important part of the zoo family and supports a variety of activities within our zoos and beyond. As a conservation-based charity, our volunteers play a vital role in helping us to achieve our purpose to connect people with nature and save species from extinction. Volunteering for Zoos SA is a wonderful opportunity to make a lasting contribution to our important wildlife conservation work while helping the zoo and its unique animal residents. Volunteers also get to experience some amazing moments in our Zoo’s life, make new friends and create life-long memories. 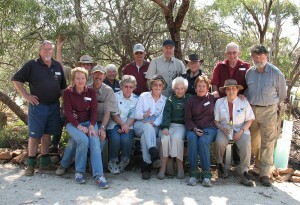 Zoos SA volunteers love animals, the natural world and most importantly, love interacting and engaging with people. Our generous volunteers contribute across our zoos in a range of roles. Oftentimes they are they are the public face of the zoo. Being a volunteer enables you to work in an amazing environment with friendly, like-minded people. You’ll gain knowledge, develop skills and use your own skills and experiences to contribute positively to our Zoo programs while knowing you are very much appreciated. Please note: In most cases volunteer activities do not involve contact with animals and volunteers do not assist zoo keepers with animal care or veterinary staff with the health and well-being of the animals. Have your own email address and are comfortable using smart phones, tablets or PCs to access email, or be willing to learn, and use our online roster system. Undertake our volunteer training and agree to act in accordance with our values, policies, procedures and processes. We have two volunteer intakes per year. One in February and one in July. You can apply anytime via the online form and about one month out from the intake you will be sent an invite to attend our information session, providing you with information about what roles we are seeking to fill. If there is a role that interests you and you think you will match well to it, then you will need to RSVP to attend the Information Session. At the information session you will find out more about these roles and have the chance to ask questions. Following the meeting if you are wanting to pursue a volunteer position you will need to book a short interview with our program staff within the dates provided so we can determine if you match to our program, values and culture. Selection to be a volunteer is a competitive process due to the limited places in our programs, compared to the number of applications we receive. We are seeking passionate, committed, curious, adaptable and positive volunteers. 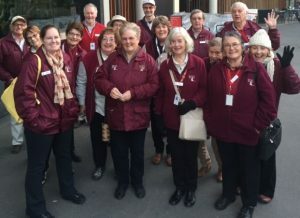 Adelaide Zoo volunteers engage in a variety of tasks that form an integral part of assisting with the day to day running of the zoo and help our visitors to have an enjoyable experience. Inform visitors about the animals and the work done in the Children’s Zoo. Provide interpretation of touch tables items. Interact with visitors in the Envirodome, Panda Forest and on our Touch Tables. Be knowledgeable on other attractions within the city and state so that further information can be provided to our guests. Volunteers work closely with keepers to produce and provide a range of enrichment foods and products for the animals. All volunteers need a DHS (formerly DCSI) clearance for these roles. Event & public engagement opportunities may be on offer during peak times across a short block of time, such as summer holidays and school holiday periods. Ask about these at the Information session! 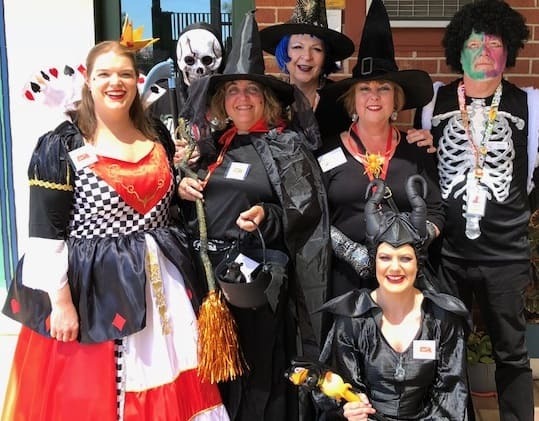 All of our volunteers can choose to be involved in our annual events program which includes Boo in the Zoo, Twilight Zoos in Summer and other great events during the year. Monarto Zoo volunteers engage in a variety of tasks that form an integral part of assisting with the day to day running of the zoo and help our visitors to have an enjoyable experience. Provide commentary and information about the park and our wildlife conservation efforts. Tell engaging stories about our collection. Assist in collecting items required for food treats and environmental enrichment. Applications welcome throughout the year! All of our volunteers can choose to be involved in our annual events program which includes Boo in the Zoo, our popular volunteer run events and other events across both zoos. Thank you for your interest in volunteering for Zoos SA. All applications received since November 2018 have been held over for consideration for the 2019 mid-year intake and applicants will be sent an invite to the Information night in early May with details about which Adelaide and Monarto Zoo roles are being offered for this intake. Roles are offered based on business needs and demands. Attendance to the Information Session is strictly by RSVP to the invite. Those who attend the Information Night and who wish to book an interview to progress to the next stage of our recruitment process, must be available to attend a 20 minute interview, booked at the Information Night, from the times offered for the following days: Wed June 5, Thurs June 6, Fri June 7, 2019. Attendance to commence training with Zoos SA, in our Volunteer programs on offer for this intake, will be by invitation only, once post-information night interviews have been undertaken and candidates reviewed and matched to programs. All applicants interviewed will be notified if they match to our programs or not. Some programs may require applicants to be placed on a waiting list if there are more matched applicants than places available in this intake. If you have not applied to be a volunteer as yet, please click ‘how to apply’ below and submit your application! Complete the application form by clicking on the Apply Now button below. All applications online are entered on to our database. You will receive an email if you have successfully submitted your form – check your junk mail folder if you think you have not got an acknowledgement of your submission. Closer to the next intake you will be sent an invitation to attend the next Volunteer Information Night session. At the information night if you feel you will match to our programs on offer for that intake, you will be able to sign up for an interview to allow us to determine if you are a match. Allow us to sight and record expiry date of police screening (or complete a new screening application and have Proof of ID verified by Police before we process it for you. Attend a mandatory Orientation and Basic Training (OBT) session and any formal or ‘on the job’ training as specified in specific volunteer programs. Further details will be sent to successful applicants who have attended the information session and interviews and who are invited to attend the OBT.